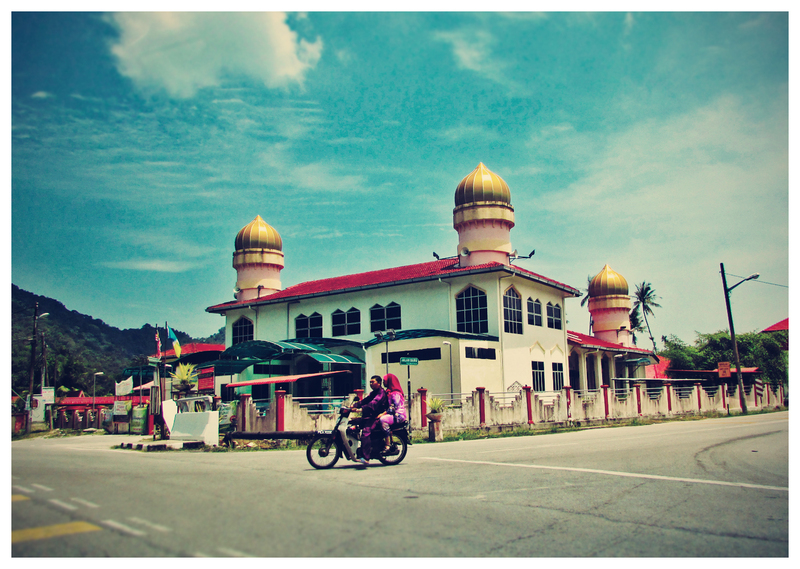 Masjid Raudah Pulau Betong in Kampung Pulau Betong, Balik Pulau, Penang. 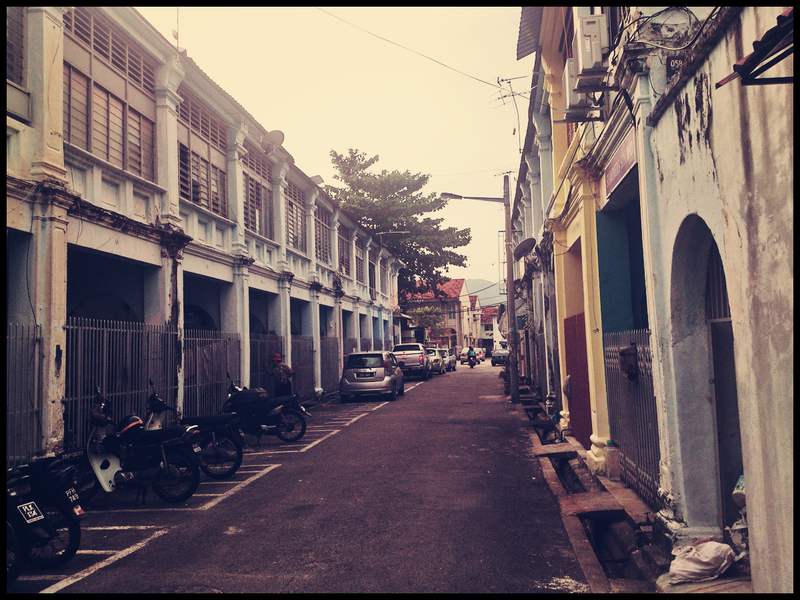 The Acheen Street Mosque (Masjid Lebuh Acheh) is one of the oldest mosques in George Town, Penang. 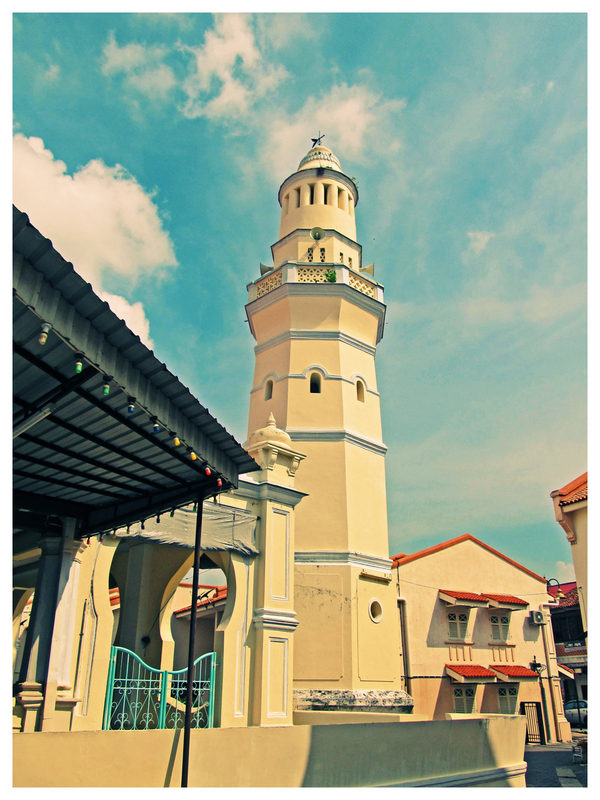 Located at Acheen Street, the mosque was uniquely built with an architectural fusion of Moorish, Chinese and Middle Eastern style. 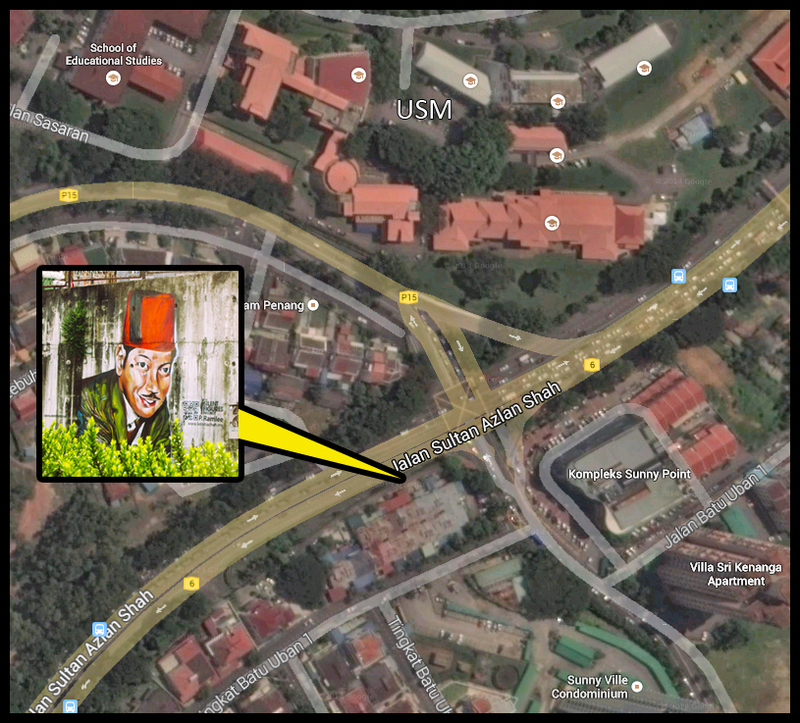 Located along Jalan Sultan Azlan Shah (Sultan Azlan Shah Road) at the Batu Uban intersection, this large art mural depicts the portrait of the local legend, P. Ramlee. 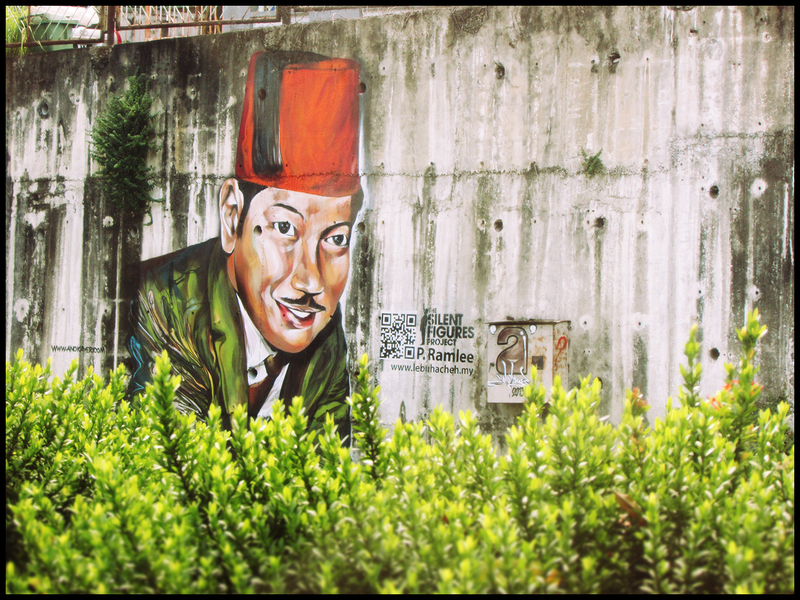 P. Ramlee who was both a versatile actor and musician, had contributed a lot to the Malaysian entertainment scene. 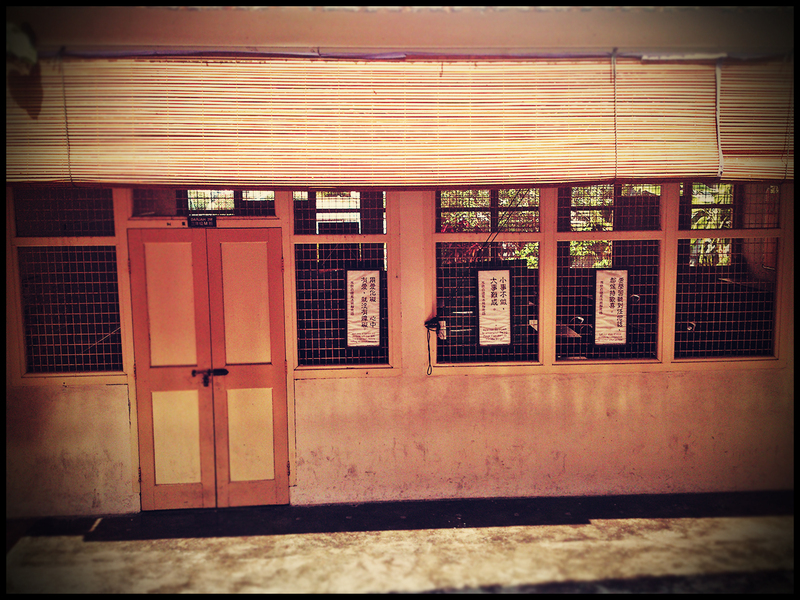 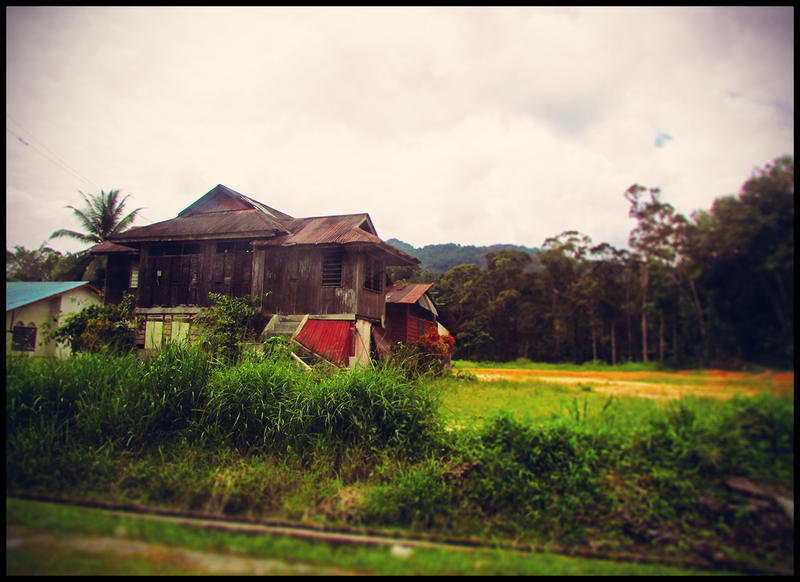 An old countryside Malay house at Balik Pulau, Penang. 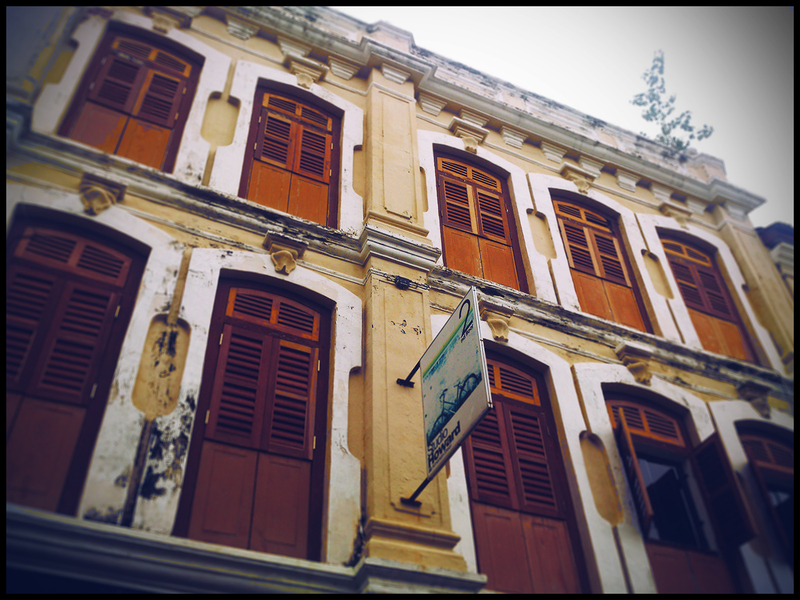 And to all Muslims, Selamat Hari Raya AidilFitri! 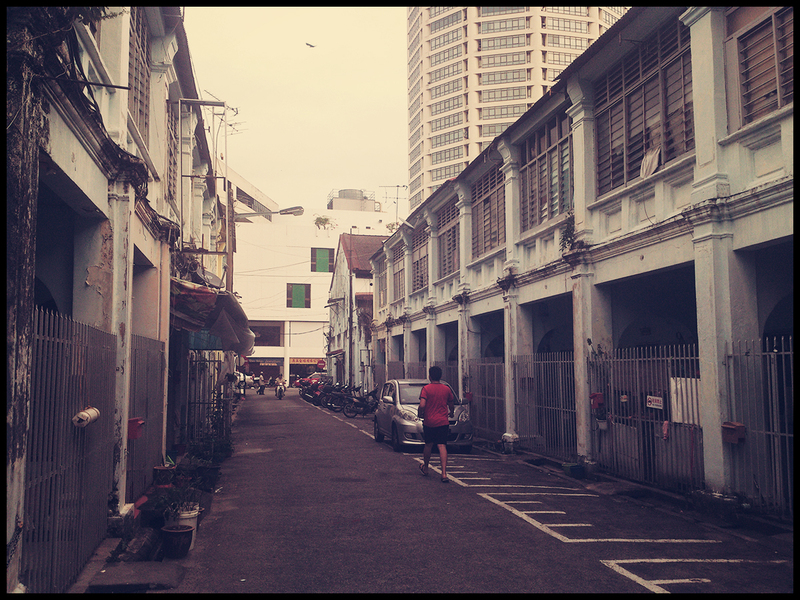 Bertam Lane is a small lane off Penang Road, near the Komtar complex in George Town, Penang. 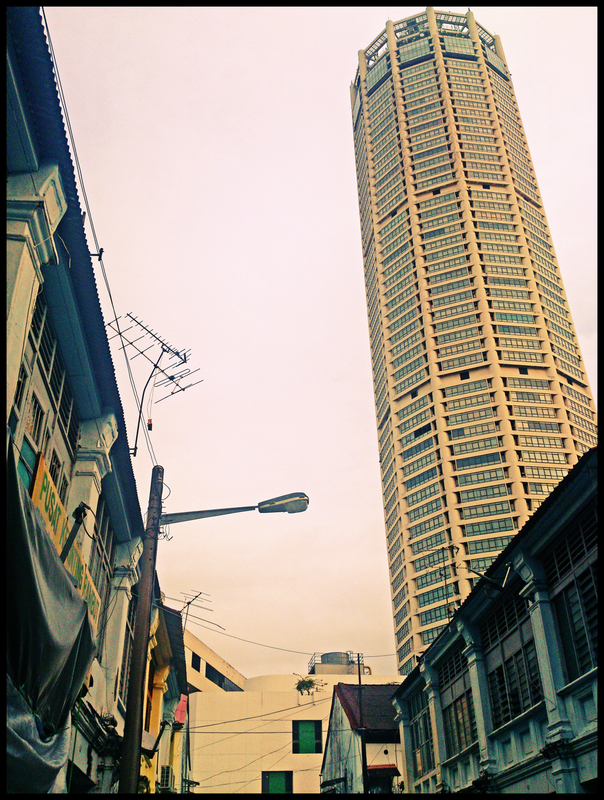 View of the Komtar Tower from Bertam Lane. 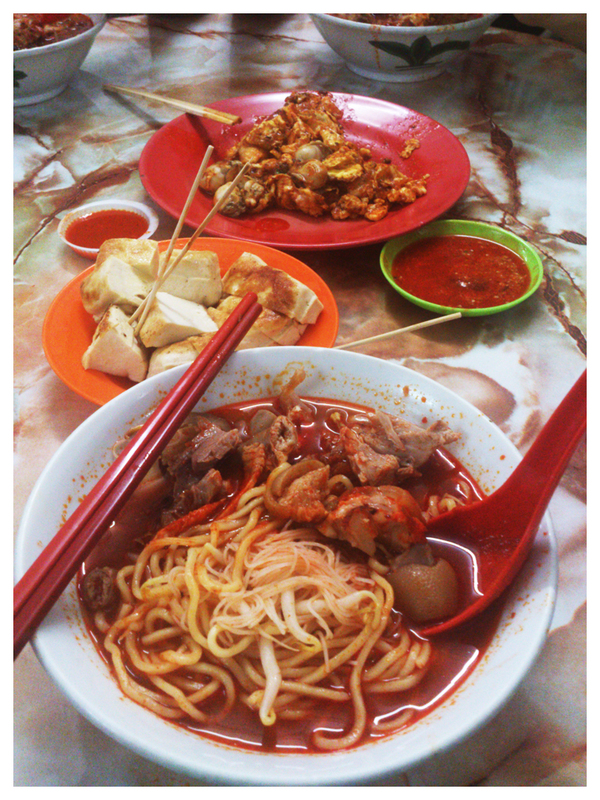 From farthest in the picture; Fried oyster, fried beancurd and hokkien mee.